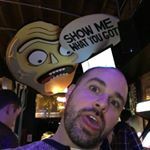 @otterjoe Instagram Influencer Profile - Contact NOMU, Inc.
NOMU is a startup with an ingenious solution to bring increased revenue and efficiency to bars by providing patrons the ability to order drinks right from their phone. Our solution empowers patrons to own the night, not spend it waiting in lines. Bartenders to do what they do best, make drinks, not spend time processing transactions or managing tabs. And Bar Owners to see increased customer satisfaction and revenue.